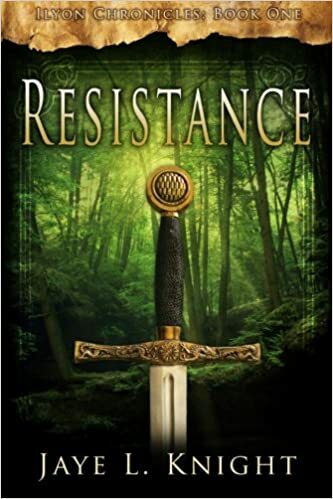 Book review and interview: Jaye L. Knight’s "Resistance"
Hello and welcome to my spotlight post on Jaye L. Knight’s new book, Resistance! The full tour schedule is available at Seasons of Humility; make sure you check out some or all of the other posts. Character and author interviews, book reviews, and more – a good time, to be sure. Available for purchase on Amazon May 20th! The book is clean and deeply insightful, with an intuitive look into religious persecution and fanaticism. I was particularly interested and impressed with how this translated into fantasy; I wasn’t sure how it would be pulled off, but it worked, and well. The pacing and plot were great, and the climax was suitably action-packed; denouement was everything I wanted it to be (and hinted at more books in the series without being a nail-biting cliffhanger!). What made the story even better was an opportunity to correspond with Emperor Daican and ask him some questions. Enjoy the below recap of our interview! Meagan: Greetings! Thank you for consenting to grant me this interview. I have greatly awaited an audience with you, and know that the time will be well spent. To open, would you tell me about your decision to change the royal title from king to emperor? Emperor Daican: It was a logical move considering the growth and expansion of Arcacia’s power. We already control the majority of Ilyon. Arcacia is not simply one country to be ruled over by a king, she is an empire, and she will not only be the first, but the greatest Ilyon has ever seen. You’re beginning to enforce worship of Aertus and Vilai, even to the point of execution of dissidents. How do you feel this will impact the people, who until now have been able to worship relatively freely their deity(ies) of choice? It is the fringe groups who have taken to worshiping myths—the troublemakers. Those with true loyalty to Arcacia will not be affected by the need to enforce the worship of our gods. This law will only help make Arcacia stronger by culling out the rebels and those who would see Arcacia divided. The people must be of one mind for Arcacia to rise to its full potential. Tell me how Tarvin Hall and its training plan developed. What is its history, and what do you foresee in its future? It was my great-grandfather who first set up Tarvin Hall’s training facilities. He saw a great need for well-trained, loyal officials around the country—officials who would dedicate their lives to serving the emperor and the gods. Such dedication is of great worth and highly honored. As of now, Tarvin Hall can train between 400 to 500 students at a time, but considering the duration of their training—up to fifteen years—only a select few are lucky enough to be enrolled every year. Due to the success of the training over the years, I would like to see it expanded in the future. Perhaps set up additional training facilities in other areas of the country. Your father died when you were only 17. How did you deal with losing him so young, and suddenly having the kingship and kingdom thrust upon you? It was a very difficult time for me. Thankfully I still had my mother. She was always a strong figure at my father’s side, and then at mine. My father was the greatest man I’ve ever known. It was far too soon for him to die, but because of his careful attention to my training, I was able to step into the role of leader with relative confidence. It has taken years, however, to live up to the example he left behind. He had amazing vision for Arcacia and what it could become. I will not stop until I see it fulfilled and even surpassed to honor his memory. Thank you again for your time. Good health to you and your family! Thanks, Amber!! 🙂 I had a blast with it! Haha … yes, I’m sensing a pattern here on my interviews! 😉 So glad you enjoyed it all! This review makes me so happy! Thank you so much! 😀 I am thrilled and honored to be one of your new favorite authors. And I also loved the way you arranged the interview for Daican.